Use the 1099-INT Payer Copy C or State to print and mail payment information to the state or for Payer’s files. 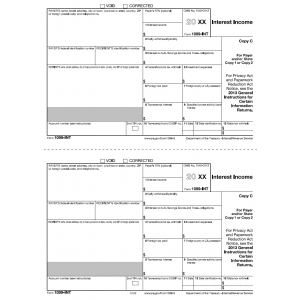 This IRS tax form is fully compliant with our W2 Mate software, most other tax form preparation programs and 1099 INT forms software. Forms are 2-up on an 8 ½” x 11” sheet with a ½” side perforation and are printed on 20# laser paper. Order the quantity equal to the number of employees for which you need to file. Mail in a batch to the state. 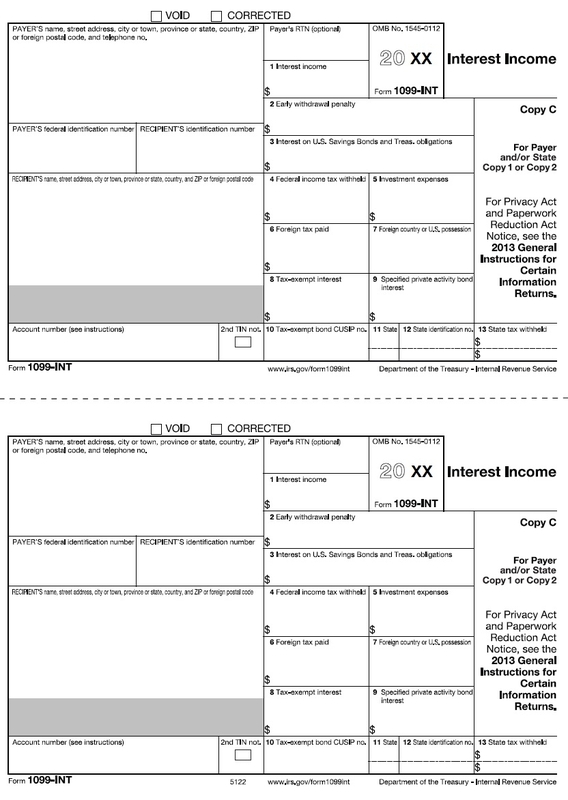 If you are trying to print Intuit QuickBooks 1099-INT you can use this 1099-INT form along with W2 Mate software which can import data directly from QuickBooks.